That's a puzzle. quite a bit of work to put these all up. will you continue checking to see what you can find out. would be of interest. 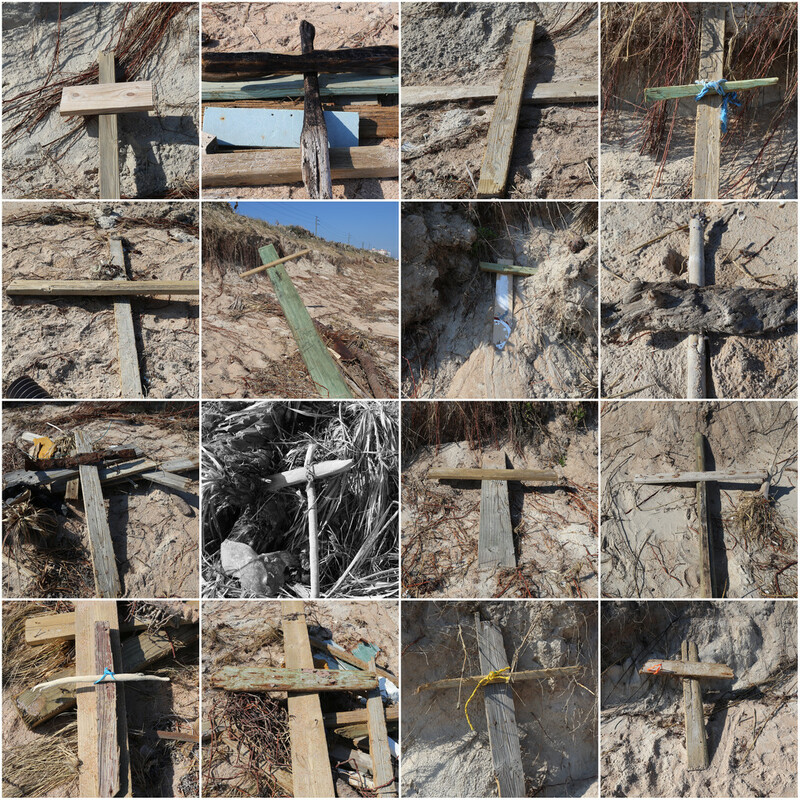 Neat series of shots...I am interested to know what these wooden crosses symbolize if not Jesus. How strange. Great find. Maybe it is a sign. wow, this really makes me pause and think. Quite an eclectic collection. Great collage you have created. This is really interesting. Thank you for sharing. Please share, if you find out what the purpose of this is. Great to put them in a collage like that, all so different. Very strange! I wonder if the mystery will ever be solved. Great subject for a montage and very well done. Hope you've enjoyed your weekend. maybe they're propping up for lent!